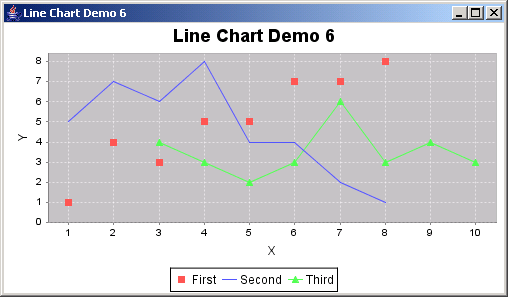 This tutorial is aimed at describing to you how to plot a line chart using jFreechart. 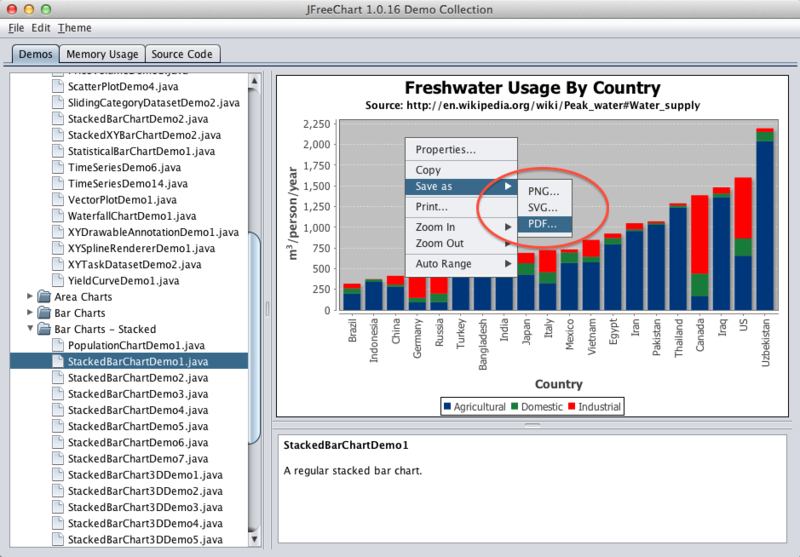 jFreechart is an external Java API used for plotting different types of charts including Bar Chart, Time Series etc. * (C) Copyright 2000-2004, by Object Refinery Limited and Contributors. * [Java is a trademark or registered trademark of Sun Microsystems, Inc.
* (C) Copyright 2004, by Object Refinery Limited and Contributors. * @param title the frame title. * Creates a sample dataset. * @return a sample dataset. * @param dataset the data for the chart.